Chennai: Indian Institute of Technology Madras (IIT-M) Research Scholars have launched a new initiative to facilitate Industry-Academia talks on research. Four companies are taking part in this initiative titled ‘Research Connect.’ They include the leading chip manufacturer Intel Corporation, Japanese multinational conglomerate Hitachi, ABB, a Swedish high-tech engineering multinational corporation and Huawei, the Chinese multinational networking and telecommunications equipment company. This initiative was taken up under the guidance of Dean (Academic Research) Prof. A.K. Mishra as part of the fifth edition of the annual Research Scholar Day (RSD) Celebrations, observed in the IIT Madras campus between April 1st and 9th, 2017. The RSD celebrations have been sponsored by BSNL, Forbes Marshall, Huawei and International and Alumni Relations, IIT Madras. The Research Connect aims to link the Industrial R&D experts, IIT Madras Research Scholars and Faculty. Research Connect augments the existing research initiatives of IIT Madras such as Research Park, Incubation Cell, Industrial Consultancy and Sponsored Research (ICSR) by bringing the industrial research fraternity to the research scholars at IIT Madras to have a meaningful result oriented discussion on how research done by the varied labs at IIT Madras can be focused to deliver solutions that the industry needs. The Chief Guest of the Inaugural Function, held on April 1, 2017, was Dr. Anil Kakodkar, former Chairman of the Atomic Energy Commission of India. Delivering a lecture on the topic ‘Getting Ready for Knowledge Era,’ he said that there was a correlation between the number of Ph.Ds in Science and Engineering produced by a country and the Gross Domestic Product (GDP) of the country. “We are all moving towards Knowledge era. In the knowledge era, the correlation between the Ph.ds and the GDP is even more important because it aids the way technology emerges, markets emerge and industrial production takes place. I think IIT system has been doing great for the past decade or decade and half. Research has been given a lot of importance in the IIT system,” he said. Research is so important researchers can make or break this country depending on how they excel in an area of research, stated Dr. Anil Kakodkar. 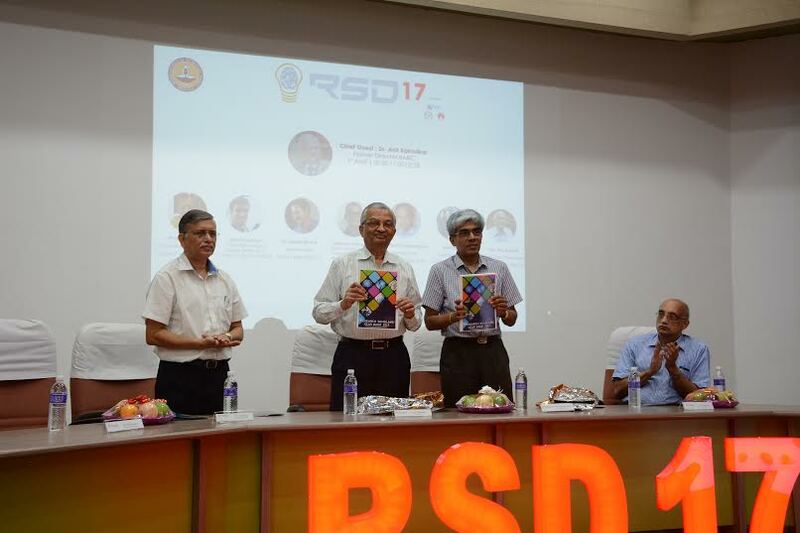 During the inauguration of RSD 2017, the Chief Guest Dr. Anil Kakodkar and Prof. Bhaskar Ramamurthi, Director of IIT Madras, launched the Research Scholars’ Year Book- a compendium of Research work being done by graduating scholars. The programmes held include as many as eight Lecture series, nine Workshops, a Research Expo, a Research Connect, a Cultural night and a Fashion show sponsored by Max, Kraylon, Jawed Habib & Krishkraft. Among those who spoke during the week-long celebration include Prajwal Sabnis, CEO, ORXA Energies, a motivational lecture by Mr. Shard Kumar, former World No 1 Para high Jumper, Dr Sreenivas Subramoney, Director of Micro architecture labs Intel India, Dr Taanu Padmanabhan, Distinguished Professor IUCAA, Smt Minal Rohit, Scientist & Engineer at ISRO & Prof. M.S. Ananth, Former Director IIT Madras. The Research Expo showcased events like ‘Explain your Research’/ ‘Any Concept’ in 3 Minutes, poster presentations, short film making. Start-ups like Detect Technologies, Pi-Beams participated in Research Expo, which witnessed an active participation from more than 70 scholars. A Panel discussion in collaboration with Global Relations in Academia and Industry (GRAIN) on “PhDs In Industry and Their Role in Global Competitiveness” was held with R&D heads from Cognizant, Tata Consultancy Services, Saint Gobain and Academicians and Scholars of IIT Madras taking part.